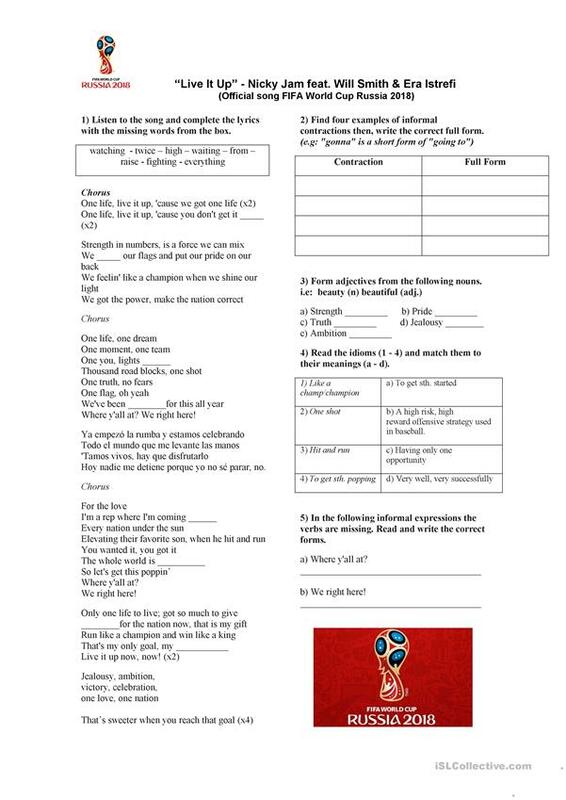 Lyrics worksheet which includes different exercises such as fill in the blanks, matching nouns and adjectives, idioms, etc. This downloadable teaching material is a great resource for adults at Intermediate (B1) level. It was designed for working on your pupils' Listening skills. It focuses on the vocabulary topic of Sports. Lsmith is from/lives in Argentina and has been a member of iSLCollective since 2012-08-02 21:32:41. Lsmith last logged in on 2019-04-10 03:41:58, and has shared 1 resources on iSLCollective so far.